Im going to take a break from IDF (India Design Forum) now and give you the low down on Day 2 next week. For today we have Labwerk, which stands for Language, Architecture & Body. I came across them quite recently. They had hosted an event plus created an installation for IDF during Design Week. After going through all their work, I loved them instantly. Refreshing bright, sunny, warm, well thought out seemed to speak from all their work. Labwerk is headed by the extremely talented, Shonan Trehan, who gave us a sneak peek into their latest project. 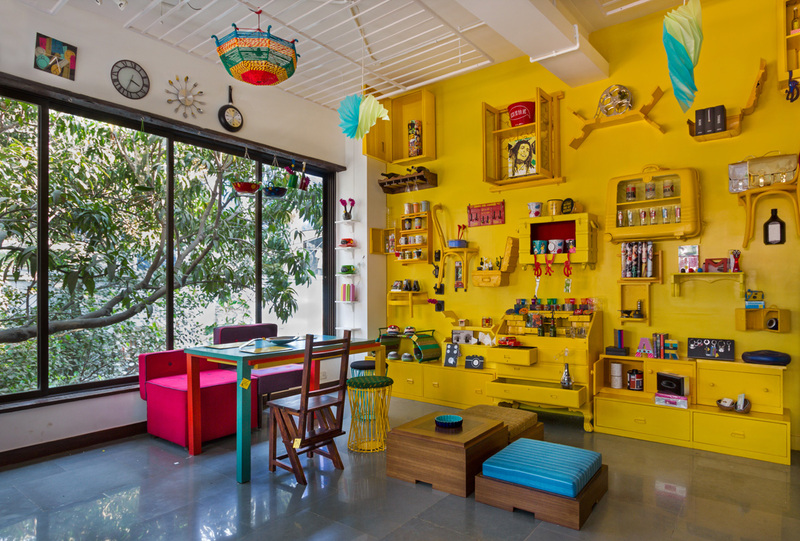 Showcasing a store cafe Roti Kapda Makaan, at the interior design hub in Mumbai, Raghuvanshi Mills. 500 sq ft of space on a string budget. When you have a tight budget, it pushes you to think out of the box all the more. 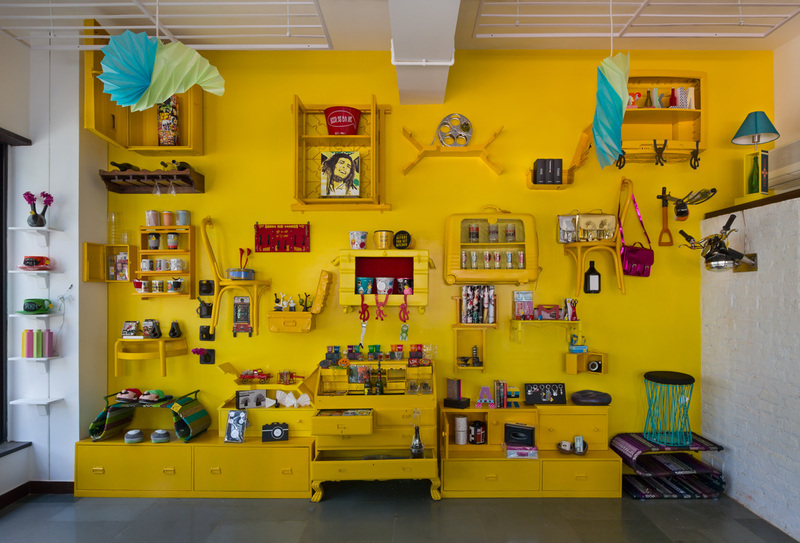 The result was an innovative concept wall to display the stores merchandise. 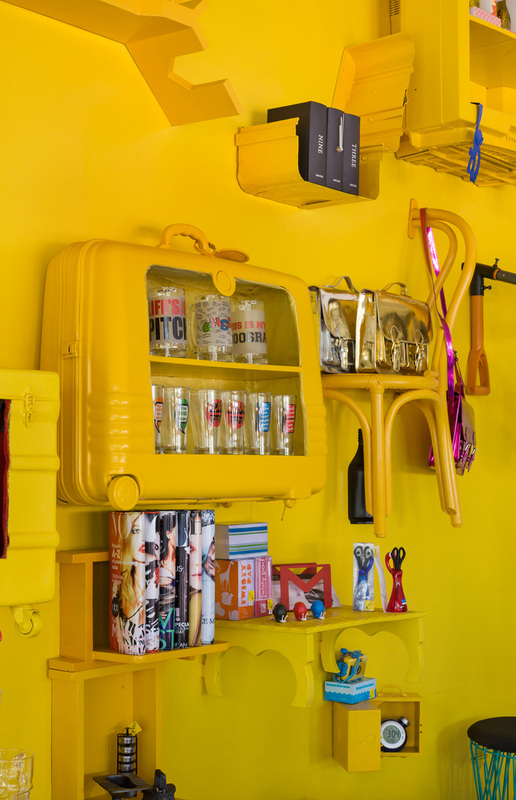 Using donated objects to recycle and refurbish, a monochrome wall in bright yellow was created. What is important in creating this look is one, the obvious monochrome paint across the wall but two, the thickness of the projections from the wall. Had they not cut the chair in half it would have looked too bulky. Also it would dangle precariously. So the depth of each shelf is important. 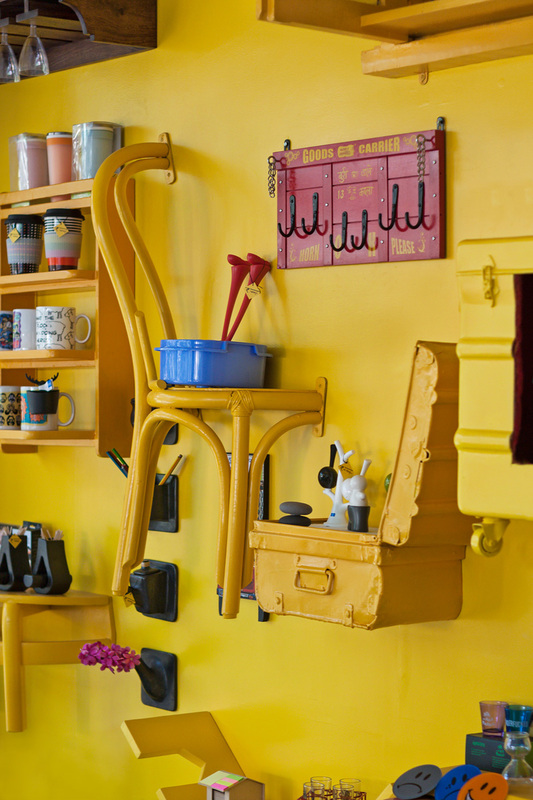 The bright yellow merchandise wall acts as the backdrop to the cafe. In contrast the large tree framed behind the glass expanse filters dapples light into the space. 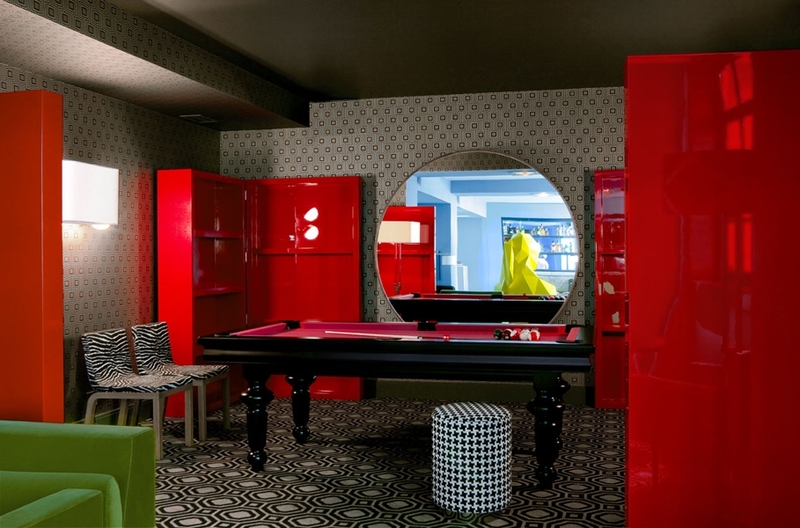 The rest of the space slowly breaks out of the yellow and into other bright colours. They have used the chair which converts into a ladder. All the furniture you see can be bought. 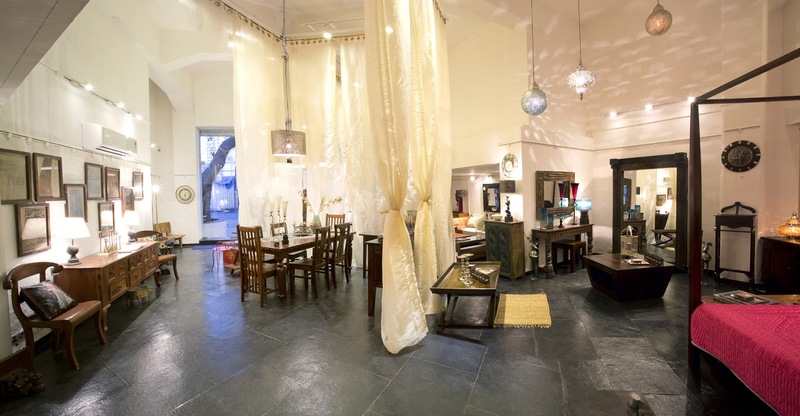 If you remember I had picked this out in the Bandra Suburban Home article. Perfect for a den area. Coming up next week is Day 2 of IDF, a New Designer, and more work from Labwerk so keep reading!